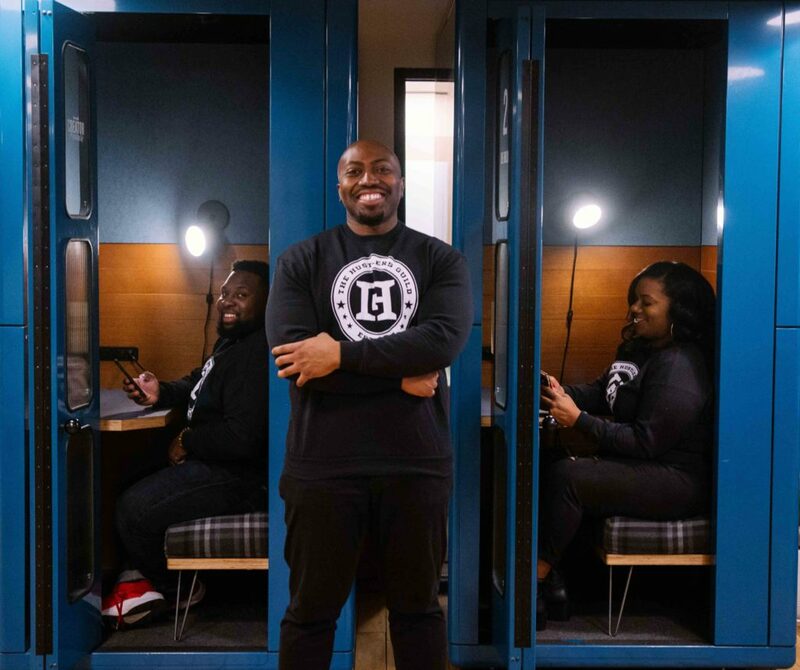 The Hustlers Guild, founded by Yale graduate Kevin Beckford, uses the hip hop hustle to empower disadvantaged youths and overcome systemic barriers. Kevin Beckford is a Davenport College Yale grad and a Blue Ivy community member with a higher purpose, one driven by the inequality of opportunity for underprivileged youth. Chronic poverty and the school-to-prison path is all too common and a barrier preventing many from fully reaching their potential. That’s why Kevin and his team built a “hustle” to empower youth in underrepresented communities with workshops and seminars built around four key values: development, integrity, empowerment, and teamwork. 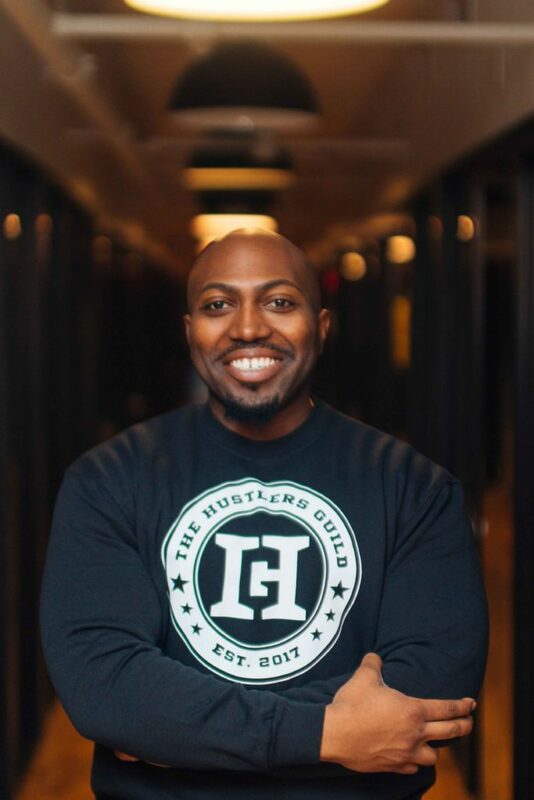 Kevin founded his non-profit The Hustler’s Guild with the help of Obama White House Administration alumni, Jason Spear and Yasmin Salina. With only a year under its belt, HG has reached over 1,000 middle and high-school students with its programming that leverages hip hop culture. Their work has also been featured in major national publications and sources, including Rolling Out, the Afro, and Jopwell (Blue Ivy Ventures investment). But in order to understand their growing success, you need to understand the hustle. We sat down with Kevin Beckford to ask him questions about his company, mission, and successes so far. In a nutshell, describe what The Hustlers Guild is? The Hustlers Guild uses hip hop, innovation, and technology to increase wealth and opportunity for youth of color coming from Washington, DC’s most economically strapped neighborhoods. Approximately 1,150 students between 10-19 years old receive an array of support from us, including mentorship, free coding and tech training, site visits to tech companies, personal development and wellness sessions, and everything in-between. We also train teachers and administrators on how to create diverse and inclusive learning environments. Among all of the schools we’ve partnered with, there is a serious void in STE(A)M programming and many of the students would not afford or receive such services. Additionally, many of the schools we work with are alternative or non-traditional schools (e.g. we’ve partnered with a DC-based high school committed to older teenagers and young adults). What are your current roles at The Hustlers Guild? From fundraising to driving communications to helping drive the direction of the organization, my efforts are typical of any founder, but also reflective of our all-hands in, equity-driven approach to drive students into STEAM (Science, technology, Engineering, Arts and Mathematics). I am also the producer for The Mike Muse Show on Sirius XM, and also serve as Advancement Manager for The Urban Assembly’s support team in New York City. How does The Hustlers Guild change the status quo? Our approach to expanding access and equity in the tech space is layered. First, we want to create a black and brown pipeline for youth of color to technology and economic security. We hire paid college interns who teach and train the middle and high school students receiving our services. Our students visit tech companies and have engaged with representatives from companies like Microsoft, Google, and Facebook. They learn to code, infuse art and hip hop with technology, and think critically about how technology can function in their communities. We do this because there is a significant diversity issue in the technology space, and also, systemic barriers keep many youth of color away from opportunities in innovation. Second, we work to solve issues behind the “pipeline,” which center around inclusion, belonging, and identity. That’s why we use hip hop. With systemic injustices like chronic poverty and the school-to-prison pipeline challenging the potential of many black and brown young people in this country, building a “hustle,” or a drive to meet and exceed personal and academic goals, is key. What have you found particularly unique about how your alma mater has steered your path? Yale rigorously pushes a commitment to community and service among its students, and it is truly affirming to see this commitment continue among its alum, notably those engaged within the venture capital community. Yale-run organizations have the potential to work together and support each other. For example, I am the co-founder of a nonprofit organization that has been highlighted by a Yale Venture Capital Fund Group (Jopwell), whose mission is similar to ours in that we push for access and equity for historically-marginalized groups. What sparked your entrepreneurial drive? Mine came from a desire to inspire change and make a difference for young people. Knowing that so many young people like myself do not see themselves or their experiences in textbooks and in the industries they hope to become a part of. As long as the problem of equity exists, I will continue to do this work. What are the three most important lessons you’d give to fellow entrepreneurs? First, let your mission and goals drive all that you do. By consistently asking if you’re carrying the direction in alignment with the intended mission, you keep yourself and your company honest and accountable. Second, have a clear vision. Set bi-weekly, monthly, quarterly, and annual benchmarks for your company. Third, work with others to build in meaningful ways. Having a diverse array of talent and experience will help you build the best product or company possible, so be sure to include different perspectives. Which resources or sources of inspiration (podcasts, books, blogs, mentors, etc.) are most useful to you on a regular basis? The most important source of inspiration for me is the community and students. Talking to students is the best motivation for me because they keep you honest. For podcasts, I listen to Be Bitwise and Tech Forward. I’m also consistently in touch with mentors and alums from Yale who include Dean Pamela George and Governor Howard Dean, whose seminar I took during my senior year. I am also in touch with many alum from the Obama administration (White House and the Department of Housing and Urban Development).